Developed by the Delaware University in the early 90's is an instrument which measures the energy spectrum of comic ray electrons using mainly a permanent magnet and a spark chamber hodoscope to determine the charge sign of the electron. As we can see in the scheme (click to enlarge) AESOP chambers contain 5 parallel aluminum plates connected, in alternate order, to ground and a high voltage pulser. The medium between plates is a slow moving noble gas mixture of neon and helium. As a charged particle transverses a chamber it leaves behind an ion trail in the gas. If the scintillator detectors, mounted above and below the chamber, detect coincidence light pulses from the resulting ionization track, a 10,000 volt pulser is triggered. In the presence of a high electric field, the ions in the gas are accelerated toward the plate surface producing more ions with each ion-atom collision. These multiple collisions form an ion cascade which ultimately results in a high voltage breakdown very near the original ion trail. This breakdown in each gap produces a bright red verticle spark which is digitized and recorded using a linear CCD camera. 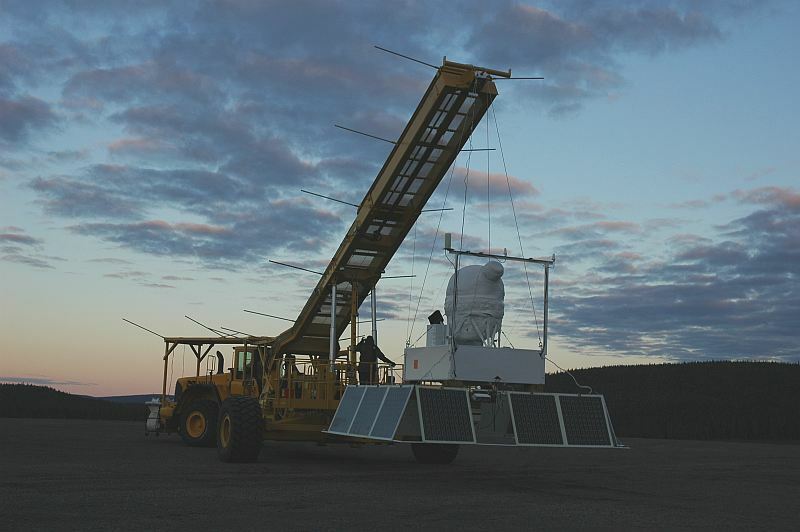 The instrument was flown several times in a same gondola with another complementary instrument called LEE (Low Energy Electrons). 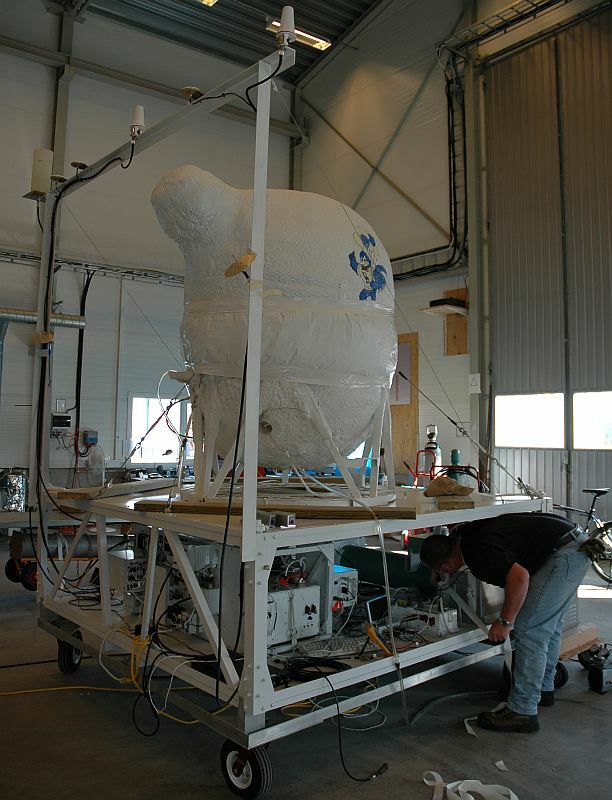 The balloon was launched on June 12th at 2:08 utc, by dynamic method using a launch vehicle called "Hercules". 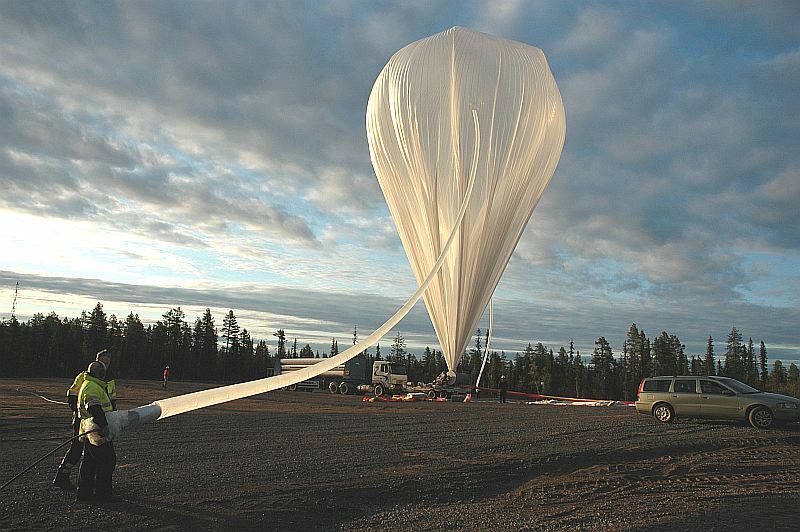 After a nominal ascent phase the float altitude of 133.000 ft was achieved. 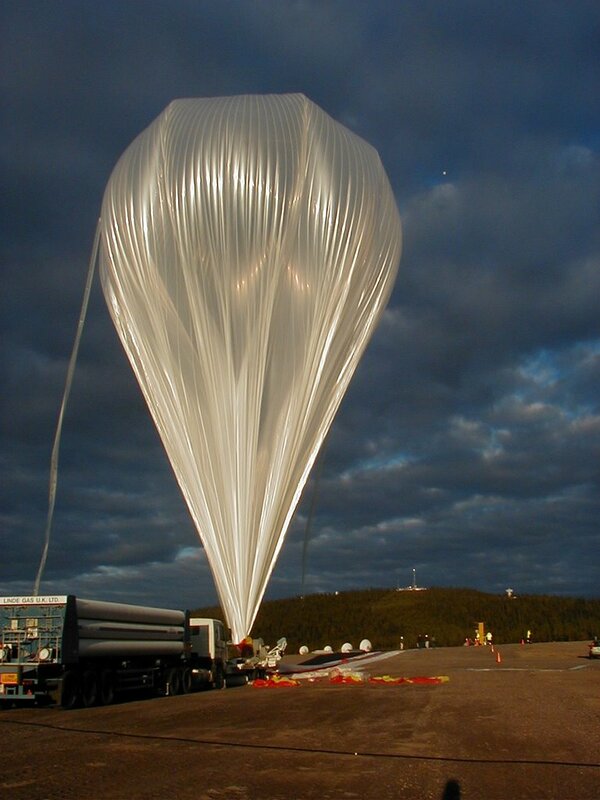 Then the balloon started a slow west drift over the Atlantic Ocean towards Northamerica. 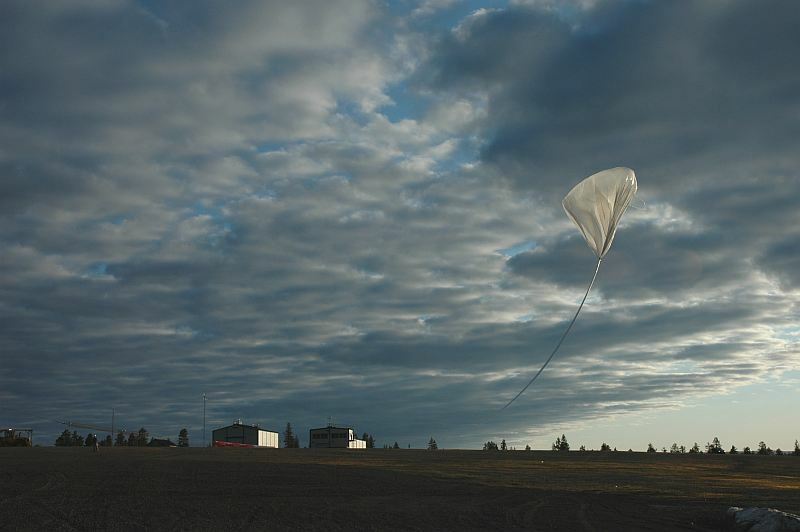 Althought the flight was scheduled to fly for 5-9 day, at the fifth day of travel was decided to end the flight when flying over Northern Canada because the balloon experienced a path towards the arctic sea. The cutdown command was sent by satellite from the NSBF's Operations Center in Palestine, Texas, at 5:48 utc on June 7th. The gondola impacted ground at 6:33 utc a few meters from the coast of Victoria Island, Canada over ice. The exact piont was located 163 nautic miles west of Cambridge Bay at coordinates 68º30' N y 112º 58' W.
This report will be completed when the ongoing recovery operations were completed. This was the first transatlantic flight of the instrument and also the longest one of it.